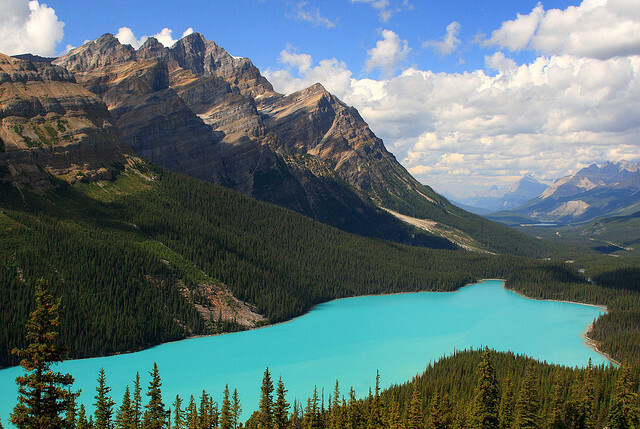 Are you ready for a camping holiday in Canada? Canada is the country where tourists will find everything that they would wish for. The succession of mountains, waterfalls, forests and coasts inspire camping lovers to explore Canada’s magnificent campgrounds. Canada’s unspoiled landscape is charming for millions of visitors, who would wish to experience the pleasure of camping while they reveal the treasure of wilderness. There are plenty of National parks which are the best spots for camping lovers. Here you will find the most attractive camping spots to give you a clue to know where to start to set up your tent. 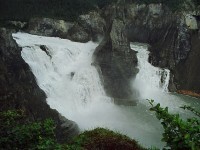 It is known as the first provincial park in Canada. An attractive spot for those who would like to camp near to the Lake of two Rivers Campgrounds. 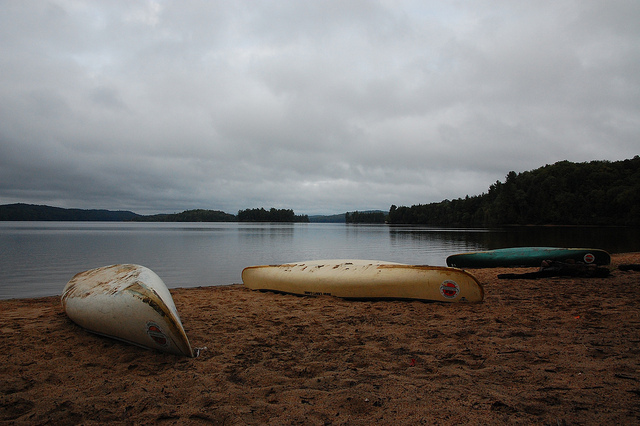 The beach, White Pine forest and the lakes makes draws the tourists’ interests. The park is also famous for its more than 250 bird species. 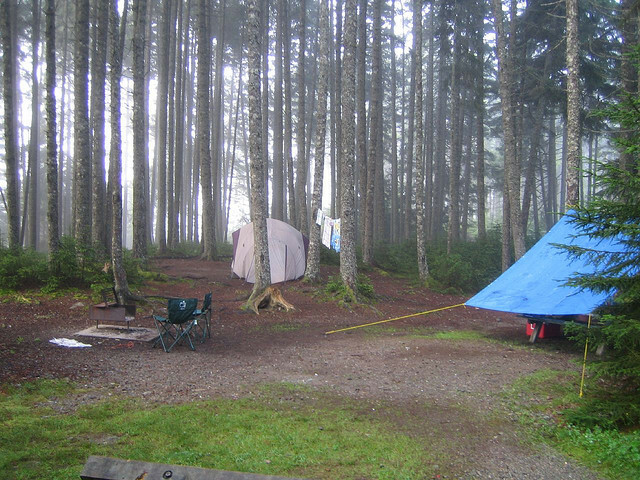 This camping spot offer a variety of activities, some of them are canoeing, backpacking and bicycling. It has a variety of events and exhibitions around summer time and visitors are more than welcome. Some of the activities are: Photography Workshop, Ancient Wilderness Survival, Art of Fair Making Workshop and Wildlife research Weekend. 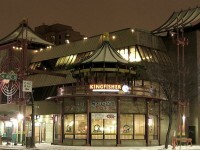 It is one of the most visited tourist destination in Canada. Glaciers, mountains, lakes and rushing rivers all contributes to its outstanding landscape. Within the park there is the Tunnel Mountain campgrounds providing the best place to set up your tent. Not to forget the fact that you are out in the wildlife so occasional bear, deer, moose and elk visits might occur. There is a basin and cave with hot mineral spring water. It is a perfect spot for hiking lovers. As an UNESCO World Heritage Site, the park offers splendid landscape with pristine mountain ranges for those who have a passion for hiking. Great restaurants and stores, diversity of festivals and events and fun activities are waiting for you in the Banf Natonal Park just to discover. Why is that park so special? because it is Canada’s first underwater park. The National Parks at the Fathom Five area is a place for numerous shipwrecks and by scuba diving and special glass bottom boat tours you can still see the remains. 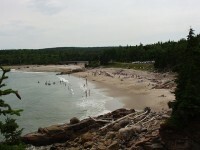 The park is situated at the mouth of Giorgian bay in Ontario. 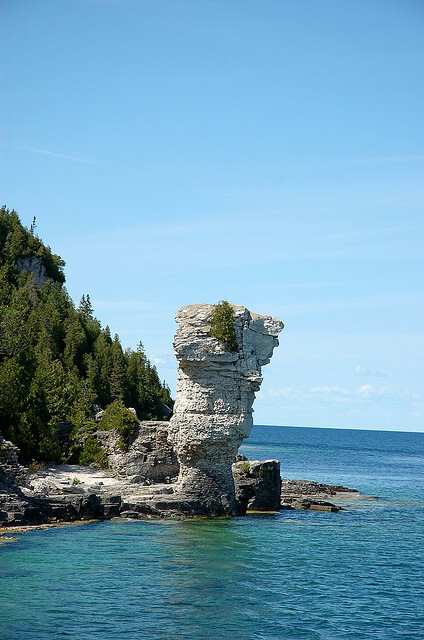 Fathom Five has numerous islands; one of them is the Flowerpot Island where camping is a very common activity. You can get there easily, by glass bottom boat tours, which depart from Tobermory and take visitors to the Flowerpot Island where you will be amazed by the 60 foot high “flower pots”, lighthouse and walking trails. One of the best camping spot in Canada is the Parc National Forillon. Because of the diversity of geographical features tourist will find here everything which is necessary for a good camping holiday. Mountains, forests, coastline plays a strong role in such camping activities like hiking, horse back riding,cycling, cross country skiing, dog sledding scuba diving, fishing and kayaking. In addition, The Forillon National Park is known as a habitat for wildlife. 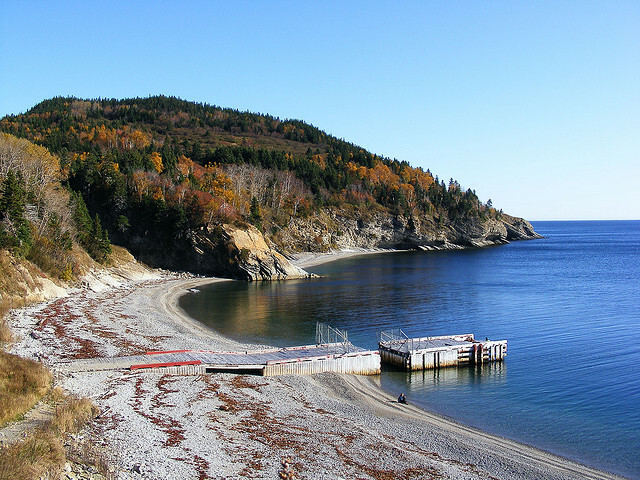 Whale watching tours are just some of the extra activities offered by the Forillon Park. 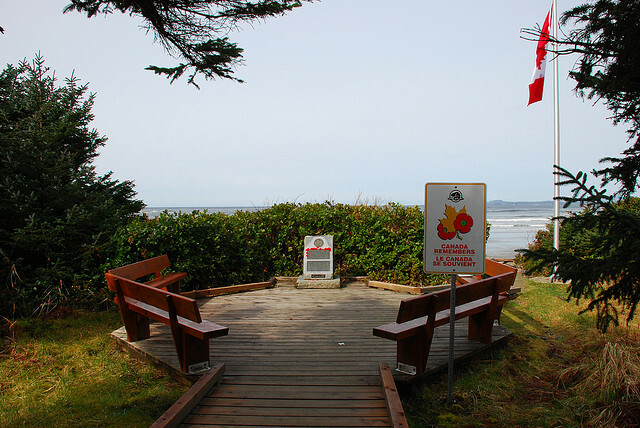 Vancouver Island’s Pacific Rim National Park Reserve hosts the enchanting Long Beach of the Canada’s West Coast. The Long Beach resort with its 25 kilometres of sand attracts millions of visitors annually. It means the perfect spot for surf lovers. Following the Green Point, the resident campground with its 20 km walk trip leads you deep into the rain forest. This park provides great camping experiences while you are attending rain-forest tours, whale watching, surfing, fishing or beach walking. This National Park offers all of the jewels of the oceanic beauty. Stunning green mountains, enchanting coastal beauty, waterfalls are just some of the highlights of the Cape Breton Highlands National Park. Walking among conifers and deciduous trees surrounded by the area offer a great time for visitors. There is a Stanley Thompson’s Highland Links golf course in the park for golf lovers. 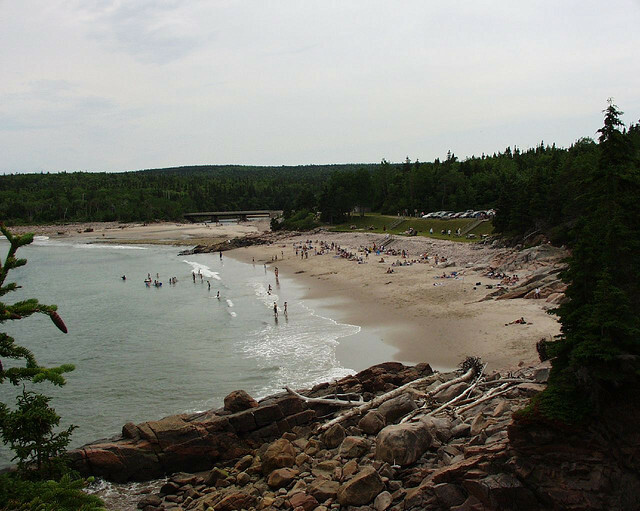 The best spot for camping is Ingonish Beach situated close by walk to the Atlantic Ocean.